Chief Justice of India T.S. 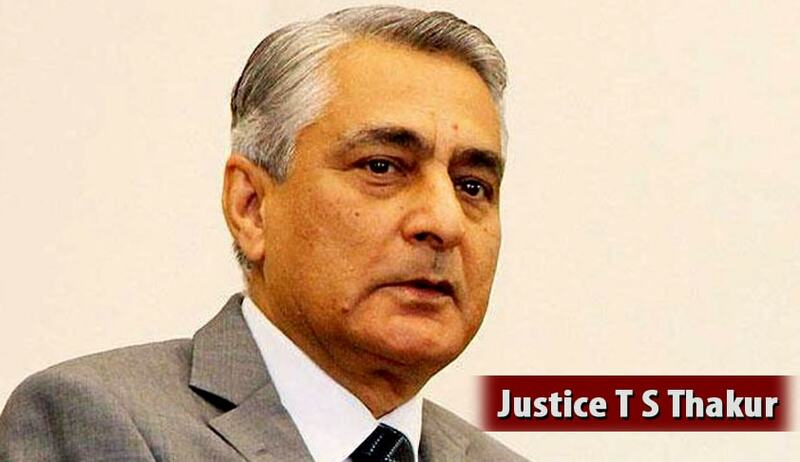 Thakur reportedly has ordered mass transfer of High Court Judges across the country. This drastic step seems to have been taken during a meeting of collegium held on January 11th. Deccan Chronicle reports that Justices R. Sudhakar and C.S. Karnan of the Madras High Court are being transferred to Jammu and Kashmir and Calcutta High Courts respectively. The judges from High Courts of Karnataka, Delhi, Andhra Pradesh and Allahabad are also being transferred. Times Of India yesterday reported that it is also decided by the Collegium to shift Justices Suresh Kait, V P Vaish, Rajiv Shakdher and Valmiki Mehta of Delhi High Court ,to High courts of Andhra Pradesh, Meghalaya, Madras and Gujarat, respectively. complaints against some High Court Judges. Children of High Court Judges practicing in the same High Courts are yet another factor which has influenced the collegium to take this decision. There is no legal mechanism available as of now to deal with complaints against High Court Judges. Judges can only be impeached and there is no other form of punishment for errand judges. Earlier such step like the proposed one was taken during the tenure of former CJI S.H. Kapadia.